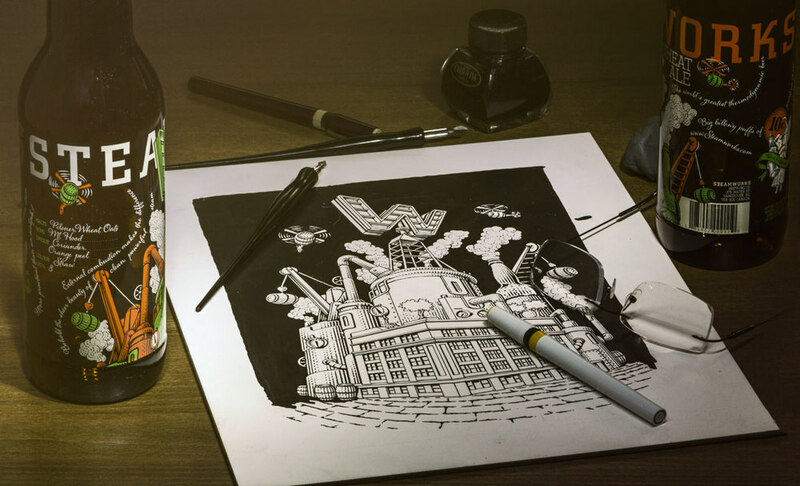 Steamworks Brewery celebrates what makes it unique (location, history, quality) with a twist! 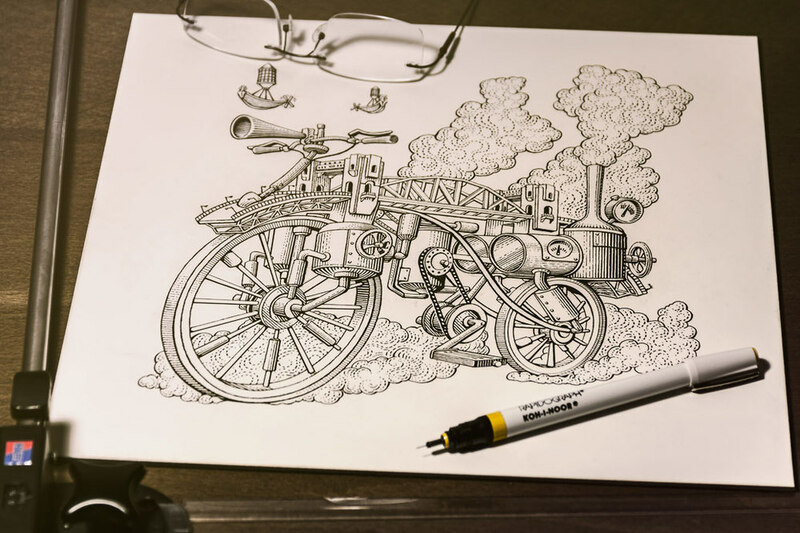 It successfully creates a fantastic world where everything is powered by steam. How do you enter the saturated micro-brewery market a bit late? By celebrating what makes you unique (location, history, quality) with a twist! Developing a unique world where everything is powered by steam (Steampunk) for Steamworks has been incredibly successful. 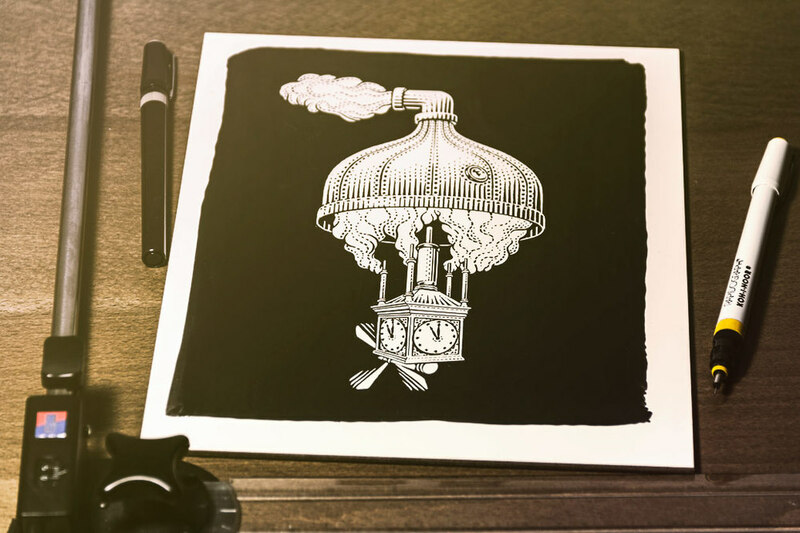 Each beer varietal has its own steampunk machine based on local architecture. As a bonus, the public comes to look forward to each new seasonal release and discover the latest steam machine! 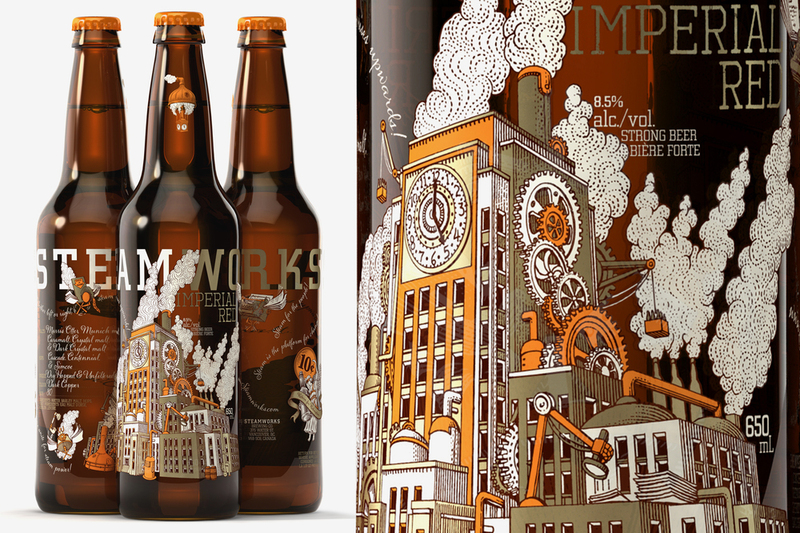 Each beer packaging offers a different take on a local piece of Vancouver architecture blended with steampunk and beer references. It became an opportunity to celebrate localness and history with a new contemporary twist. 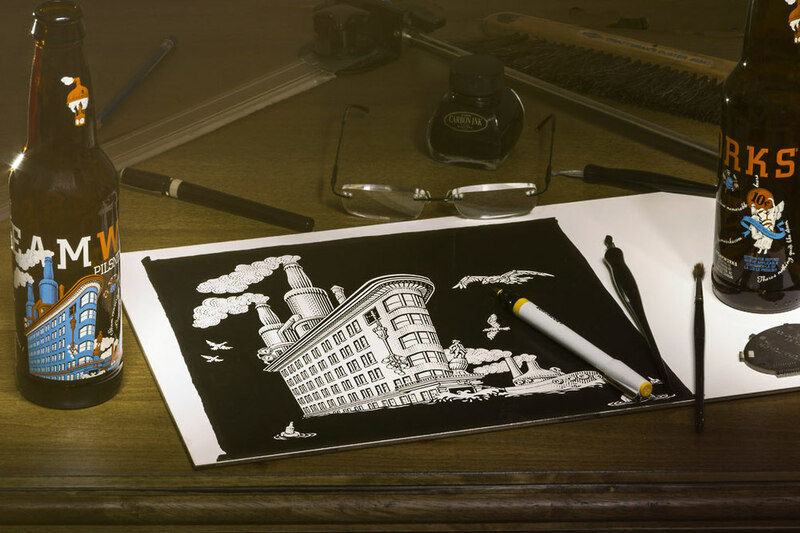 James Ng is the "illustrator-engineer" creating incredible steam contraptions; while Michael Halbert, the "illustrator-engraver" produces final images onto scratchboards, that would ultimately be reproduced onto the different bottles. Intro / About / Challenge Me!